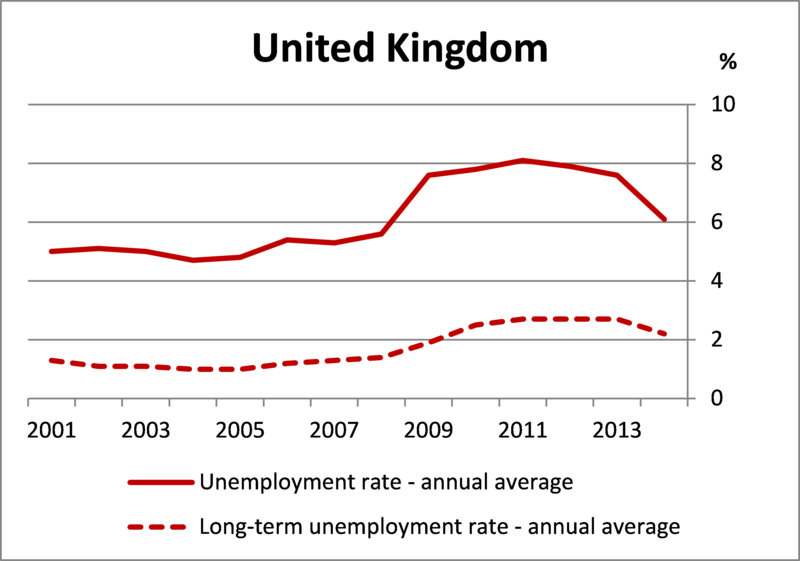 Human capital depreciation during unemployment – does it matter for monetary policy? In many countries the great recession that followed the financial crisis led to sharp rises in not only the rate, but also the duration of unemployment. These were bad in themselves, but many were further worried that because lengthy unemployment spells are thought to erode workers’ human capital, productive potential would be damaged. The question I ask is whether this should affect the conduct of monetary policy. The short answer is no. But it may still be a question worth exploring further. 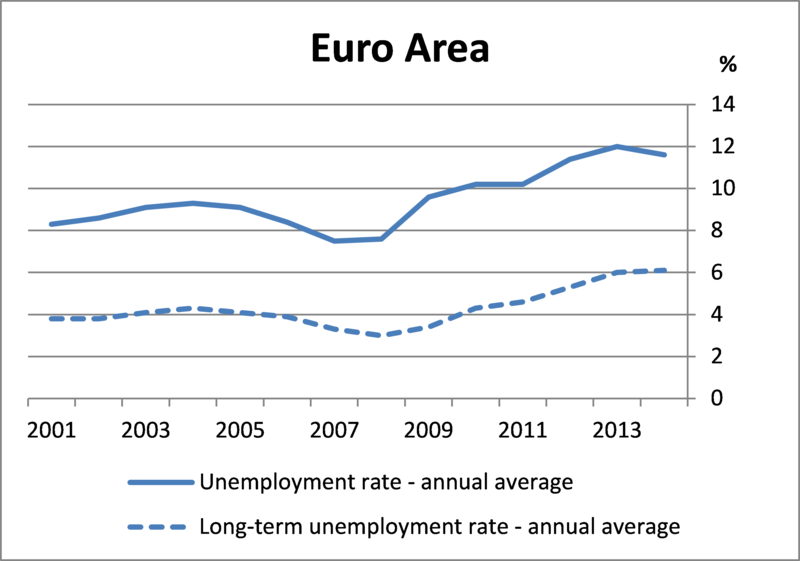 Chart 1 shows that after the financial crisis both the unemployment and the long-term unemployment rate – defined as the number of people who are out of work and have been actively seeking employment for at least a year –picked up sharply, particularly in the Euro Area and in the US. This in turn has increased both the number and the fraction of unemployed workers exposed to skill erosion. In a recent speech Mario Draghi (2014) argued how demand policies can play a role in preventing skill erosion to take place. At the same time, Janet Yellen (2015) argued that a tight labour market brought about by a gradual adjustment of policy rates may be one of the reasons to warrant such a policy as it could reverse some of the skill erosion that took place during the deep recession in the US and its slow recovery. But despite policymakers’ concerns, there has been no research into how the presence of human capital depreciation during unemployment affects optimal monetary policy. I try to shed light on this issue in a recent paper of mine on which this blog post is based. * The long-term unemployment rate refers to the number of people who are out of work and have been actively seeking employment for at least a year. When workers’ skills depreciate during periods of unemployment, firms’ hiring decisions affect not just the aggregate unemployment rate, but also the share of unemployed workers whose skills depreciate, and hence the economy’s productive potential. This is because hiring influences workers’ chances of finding jobs, their average unemployment duration, and thus the extent of skill erosion. For example, when firms hire less, unemployed workers have a smaller chance of finding a job, which increases their unemployment duration. 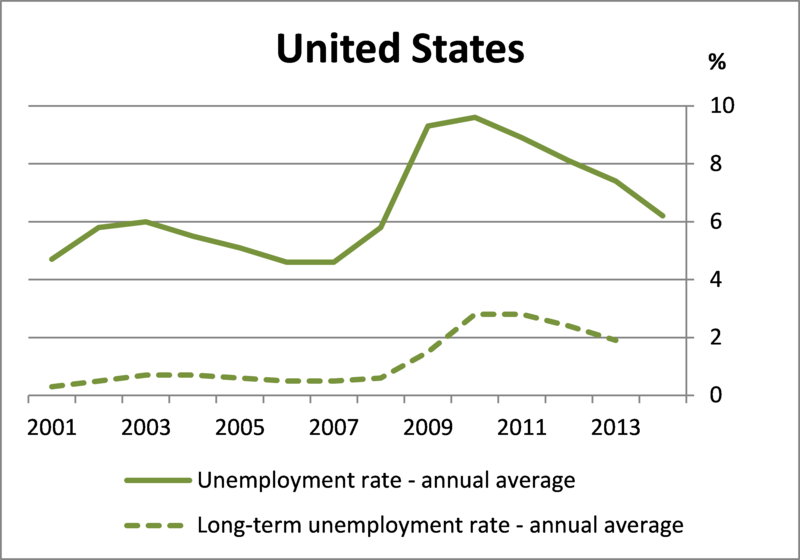 A longer spell of unemployment in turn raises the probability that their human capital erodes. As a result, a drop in hiring increases the relative share of unemployed job-seekers with eroded skills. Such fluctuations in the unemployment pool’s skill composition, and hence the economy’s productive potential, might not be desirable from a social point of view. If so, monetary policymakers might be able to prevent those fluctuations from happening by stimulating the economy more or less relative to an environment where they don’t take human capital depreciation into account. But such a policy would of course only be optimal – welfare maximizing – if the associated cost following from deviations of inflation from target do not more than offset the benefits following from unemployment stabilisation . Put differently, how the prescription for the conduct of monetary policy would change, ultimately depends on the nature of the trade-off between unemployment and inflation stabilisation in the presence of skill erosion during unemployment. To explore this issue, I introduce human capital depreciation during unemployment in an otherwise standard New Keynesian model with sticky prices, flexible wages and other features, including job search by the unemployed. Workers whose skills erode while unemployed are less productive upon re-employment than workers whose skills were not affected. At the same time, I allow for learning-by-doing such that workers with depreciated human capital can regain skills while employed. So how do these assumptions affect the model? The presence of human capital depreciation during unemployment gives rise to a market failure, in addition to the one that is identified in standard matching models of the labour market where the unemployed search for jobs. In those models, there is a market failure even in the absence of skill erosion. A firm that creates a job opening takes into account the costs and benefits that the opening generates for the firm itself, but ignores the effects on others, giving rise to a ‘congestion externality’. The more job openings a firm creates, the easier it is for unemployed workers to find a job, which means more production on average. But at the same time, it becomes harder for the other firms to recruit an unemployed worker for their job opening, giving rise to ‘congestion’. The additional market failure that arises in my model when unemployed workers see their human capital depreciate is a ‘composition externality’ related to job creation. The composition externality stems from firms ignoring how their hiring decisions today affect the unemployment pool’s skill composition tomorrow, and hence the expected productivity of other firms’ new hires (see also Laureys (2014)). But what are the implications for optimal monetary policy? The literature has shown that, in the absence of human capital depreciation, the flexible price allocation coincides with the social planner’s allocation when there are no trade-off inducing shocks, wages are flexible, and the congestion externality is offset (see Thomas (2008), Ravenna and Walsh (2011)). As a result, monetary policymakers do not face an unemployment /inflation trade-off: they can mimic the social planner’s allocation by implementing a strict inflation targeting policy, meaning that the policymaker will always try to hit the inflation target in every period, without any costs to unemployment. But what if we allow skills to erode during unemployment? In that case I show that the flexible price allocation no longer coincides with the social planner’s allocation because of the composition externality. So from a social point of view, it might no longer be desirable for monetary policy to replicate the flexible price allocation by adhering to strict inflation targeting. In other words, a trade-off between unemployment and inflation stabilisation arises. It turns out that this is not borne out by the quantitative analysis. When I calibrate the model so that it is broadly consistent with the benchmark US data, I find that although optimal price inflation is no longer zero, the difference in the optimal rate is so small as to be negligible. And so the prescription for the conduct of monetary policy does not actually change much when we take into account human capital depreciation: optimal monetary policy stays close to strict inflation targeting. It’s important to bear in mind, however, that my paper’s framework is highly stylized. For example, it follows from some of the model’s assumptions that firms are still willing to hire workers with depreciated human capital. If firms were no longer willing to do that, hiring decisions would not only affect the unemployment pool’s quality but also the share of the workforce that is perceived as employable. This would generate an additional source of inefficiency, and could affect optimal monetary policy. So, although in my model, allowing a role for human capital depreciation does not change the prescription for optimal monetary policy, relaxing the assumptions that make firms still willing to hire workers with depreciated human capital could do just that. As policymakers continue to grapple with high and persistent unemployment around the world, it seems to me this merits further investigation. Lien Laureys works in the Bank’s Monetary Assessment and Strategy Division. Next Post Are firms ever going to empty their war chests?